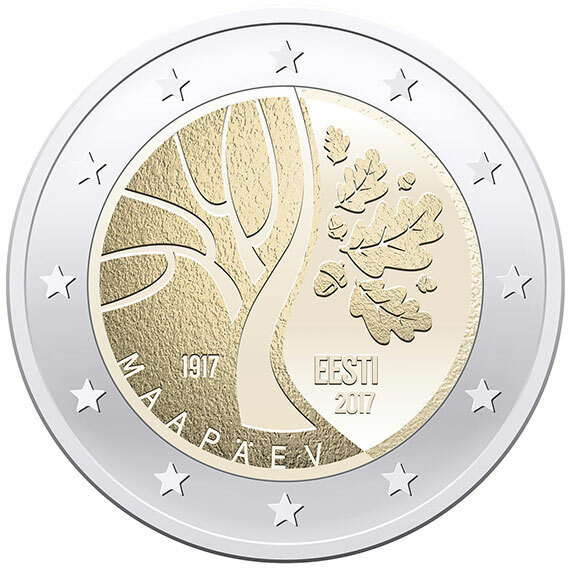 The design for the two-euro commemorative coin dedicated to the events that preceded Estonia’s independence shows oak leaves, bare oak branches and the trunk of an oak. The winding oak symbolises Estonia’s road to independence, the bare branches relate to the year 1917, and the leaves symbolise strength, achievement and longevity. The oak leaves feature on the great coat of arms of the Republic of Estonia. The winning design was created by Jaan Meristo. Second place in the design competition went to Tiiu Pirsko and Mati Veermets and third to Liina Lõõbas and Kristo Kooskora. A two-euro commemorative coin is a circulating coin with the usual common side and a special commemorative design on the national side. In all, 1.5 million of the coins will be minted. The coin will enter into circulation in the second half of the year and will be valid as legal tender throughout the euro area. In 2018 the XXIII Winter Olympic Games will be held in Pyeongchang in South Korea. 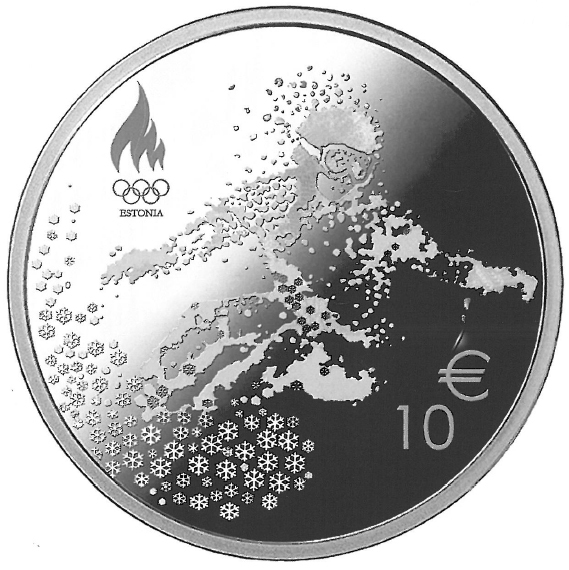 The design of the silver coin dedicated to the Estonian delegation and athletes, with a nominal value of ten euros, features an athlete taking shape from snow crystals that slowly become hoarfrost, like snow when it falls on a glass surface. The winning design was created by the Italian designer Carmen Testa. Second place in the design competition went to Liina Lõõbas and Kristo Kooskora and third place went to Riho Luuse. Eesti Pank will issue a maximum of 2000 of the silver coins, and it will come out in early 2018. Once the coin is released, the winning designer of each coin will receive a prize of 2000 euros while the second-placed design in each competition will win 700 euros and the third-placed 500. Where designers have worked together on a design, they will have to share the prize money. There were 32 entries in the design competition for the two-euro commemorative coin, and 20 in the competition for the silver collector coin.